The Rajiv Gandhi Zoological Park, commonly known as the Rajiv Gandhi Zoo, is located in Katraj near the city of Pune in India. It is managed by the Pune Municipal Corporation. The 130-acre (53 ha) zoo is divided into 3 parts: an animal orphanage, a snake park, and a zoo, and includes a 42-acre (17 ha) lake (Katraj lake). In 1953 the Pune Municipal Corporation created a Peshwe Park on about 7 acres (2.8 ha) where Madhavrao Peshwe had established a private menagerie in 1870. Located in the heart of the city at the base of the Parvati hills, this zoo exhibited animals in traditional cages. In 1997, in order to create a more modern zoo in accordance with the guidelines of the Central Zoo Authority of India, the municipality selected a site in Katraj and started developing a new zoo. The zoo opened in 1999 as the Rajiv Gandhi Zoological Park, and initially included only the snake park, sambars, spotted deer, and monkeys. Although it took until 2005, all of the animals from Peshwe Park were eventually moved to the new site, and Peshwe Park was closed. 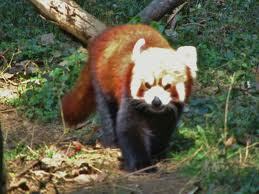 The park also incorporates a rescue center for injured and orphaned animals. It has run an Animal Adoption Scheme since October 2010. This zoo has good collection of reptiles, mammals, and some birds. 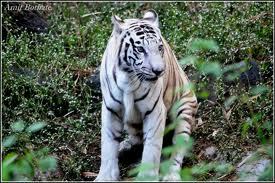 The zoo has a white tiger and a male tiger named, "Tanaji". Other mammals at the zoo include leopard, sloth bears, sambhars, barking deer, black bucks, peafowl, monkeys, and elephants. Reptiles include Indian rock python, cobra, snakes, vipers, and Indian crocodiles. Amphibians such as Indian star tortoise also feature in the zoo. The snake park has a large collection of snakes, reptiles, birds and turtles. There are over 160 species of snakes, including a nine foot long King Cobra. Information about the snakes is provided in Braille, as well as more conventional formats, and the park includes a library. The snake park has organized many snake festivals and snake awareness programs to clarify doubts and destroy fears about this species. 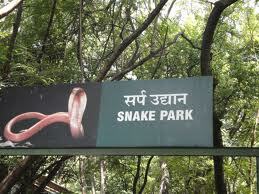 During Nagpanchami, the Katraj Snake Park at Pune arranges programs to discourage ill-treatment towards snakes. This zoo has also requested for some lions from Sakkarbaug zoo in Junagadh. The plan is to move at least 10 lions. Besides lions the other animals to be introduced are hyena, fox, barking deer, nilgai, lesser cat, jungle cat, rusty spotted cat, mouse deer and Indian giant squirrel (shekru). Slightly outside the city proper, the park is located along the Pune Satara Highway near the Bharati Vidyapeeth University. The park is 8 kilometers from Pune, close to the Katraj Bus Depot. Six seat auto rickshaws may be obtained from Swargate. The zoo has had its own share of problems in recent past. Thousands of trees in the zoo have been hacked down in contravention to law. A very green forest like area is quite denuded. Then it was also criticized for its reckless handling of rescued Indian elephants Poornima and Lakshmi. Both were allegedly starved and then developed infection. The most unbelievable case was of 13 full grown peacocks being stolen from the zoo in one single night. The zoo contains mostly reptiles and mammals, and is divided into two major sections: one for reptiles and one for mammals.